***1-3 month probation period with training will be RMB1000 less than base salary. 2 breaks in the year over February (Spring Festival) and October (National Holidays). Provide ESL teachers with legal “Z” Work Visa. Must be a passport holder from one of the following areas: Australia, New Zealand, the UK, the USA, Canada, Ireland. A desire to join a professional team committed to each other, their students and the journey of learning. 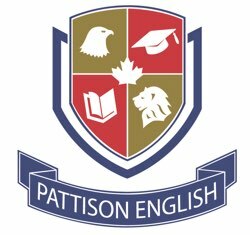 Pattison is primarily an IELTS/TOEFL training centre preparing teenagers through to adults with classes to prepare them for their study abroad. The majority of our students have a high level of English and can be engaged in discussion. Most of them stay with us just 3-6 months, and then go overseas, although quite a few return for classes throughout the vacation periods. Our foreign teaching department is foreign managed and has a good reputation. Currently we have more than 30 foreign English teachers and more than 75% of them have chosen to stay with our Company more than a year, and around 50% have worked with our company for 2 years or more. As you probably know, this is pretty rare for English schools in China, or anywhere else in the world. So come and find out what the Pattison difference is. Pattison Education Group in Northeastern China currently takes up 60% of the Northeastern education market, and 70% in the Harbin English education market. From its opening in 2008 until now, we have achieved many firsts in English training tests as well as business English, as well as won many national awards for achievements as a business as well as a training centre. Pattison has been honoured as China's excellent foreign language training institution and the nation- university students’ most influential foreign language training institutions; as well as ‘Excellent Foreign Language Training Institution’ by ‘China Annual Education Committee’. We have professional training department dedicated to helping teachers achieve their best. This is offered both in regular group training seminars and on an individual basis. All members are actively encouraged to take part in this, both as a student and as a workshop leader. We have a skilled and friendly HR team established solely for our foreign teachers. They help foreign teachers with everything from airport pickup, finding an apartment, negotiating lease terms, orientation of the city, connecting to the internet, getting a local SIM card (all the basic necessities that we take for granted back home) to helping with communication, finalizing contracts, obtaining our work permits and visas. Harbin, also known as the Ice City, is the birthplace of Mandarin which draws a lot of people to this city to study Chinese. It gets its secondary name, ‘The Ice City’, from the world class Ice and Snow festival it hosts each year and all throughout winter, ice carved lamps are scattered throughout the city. The Harbin greater area boasts some of the best ski fields in China, which can be reached in as little as 40 minutes. A day on the slopes, including transport, gear hire and a ski pass can cost as little as RMB100-150. A quick search of Harbin will show you pictures of its streets lined in unique Baroque architecture. It has an interesting history and became a boom in the late 19th century, when Russian and Jewish refugees fled to this ‘Paris of the East’ to take refuge. In the summer everything comes back to life. Beer tents replace the ice-lanterns and offer a refreshing place to cool off from the heat. The city’s gardens turn back to green and the frozen solid river slowly starts shifting icebergs before it’s finally returned to its original water currents. Why choose a smaller city? While Pattison's salaries aren't as high as the major cities in China, they're still competitive as Harbin's cost of living is much lower than other cities. Most people generally save more than half of their salary each month and that's including rent, entertainment, food and transport. It also provides you with an opportunity to immerse yourself in Chinese culture and provides plenty of opportunity for you to fine tune your Chinese skills. Please forward these to: harbinpattisonhr@163.com and we’ll be in contact within a few days to organise a Skype interview. Looking forward to meeting you.